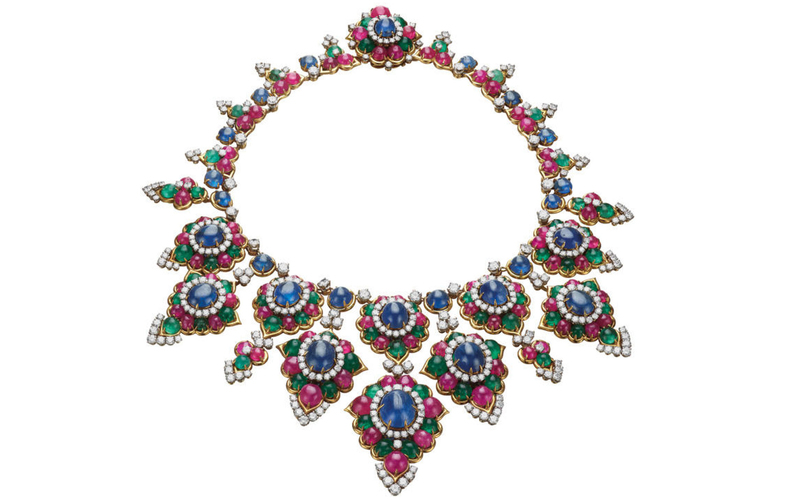 For over 100 years, Bulgari has delighted with their exquisite high jewelry pieces attracting influential women such as Audrey Hepburn, Begum Om Habibeh Aga Khan, Sofia Loren and Claudia Schiffer. 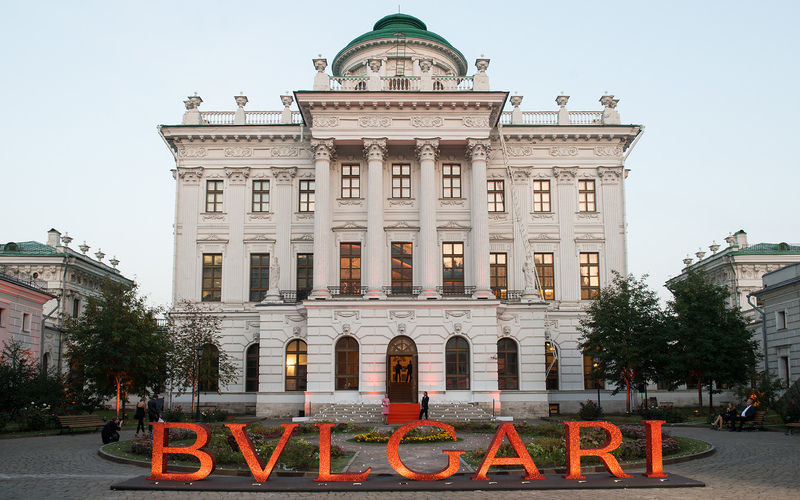 Earlier this month, Bulgari has taken over the Kremlin Museums to showcase a retrospective exhibition – Tribute to Femininity – that traces the history of female emancipation illustrating the evolution of women’s desires as the world around them progresses with time. 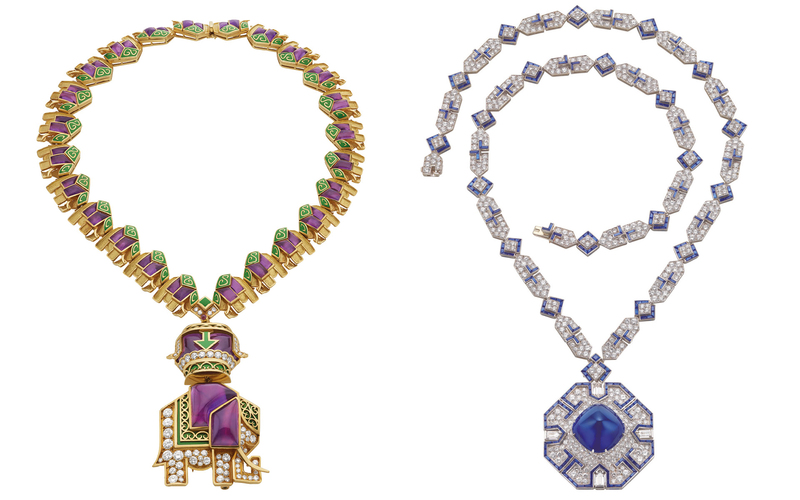 This exhibit, the first of its kind in Russia comprises over 500 high jewelry items from Bulgari’s Heritage Collection as well as from private collections from around the globe including items which have never been displayed in public before, like the aquamarine and diamond tiara of the 1930s worn by the Infanta Beatriz of Spain on her wedding day. Highlights of the exhibition include La Dolce Vita’s Anita Ekberg’s cabochon sapphire and diamond parure, Gina Lollobrigida’s platinum set diamond and 21-carat pear shaped Colombian emerald earrings and Anna Magnani’s collection with the famed 25-carat yellow diamond Trombino ring, two platinum diamond brooches each adorned with a large pearl and matching pearl earrings. And of course, no Bulgari exhibit could ever be complete without Elizabeth Taylor’s collection. 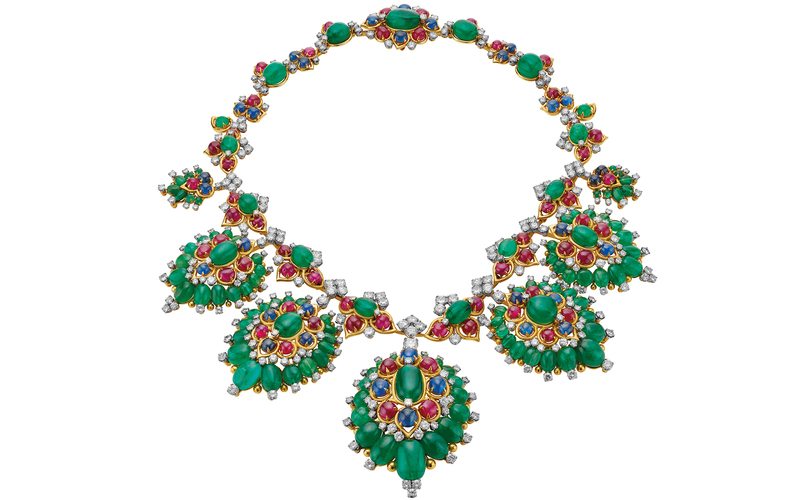 By far one of the most conspicuous ever assembled; this collection features the actress’s famed Emerald Suite complete with the iconic diamond and Colombian emerald necklace with removable brooch, pendant earrings, bracelet and engagement ring given all gifts from Richard Burton. It also includes a turquoise and gold Egyptian revival mirror created for the film Cleopatra and an Art Deco sautoir necklace with 52-carat cabochon sapphire. Tribute to Femininity tells the story of the Roman Maison’s creative prowess, superb color combinations of stones and mastery of craft. From their Parentesi to their Monete and their Serpenti collections, Bulgari’s creations have become timeless icons treasured by all.